A traditional ceremony will usually include an exchange of vows and rings. 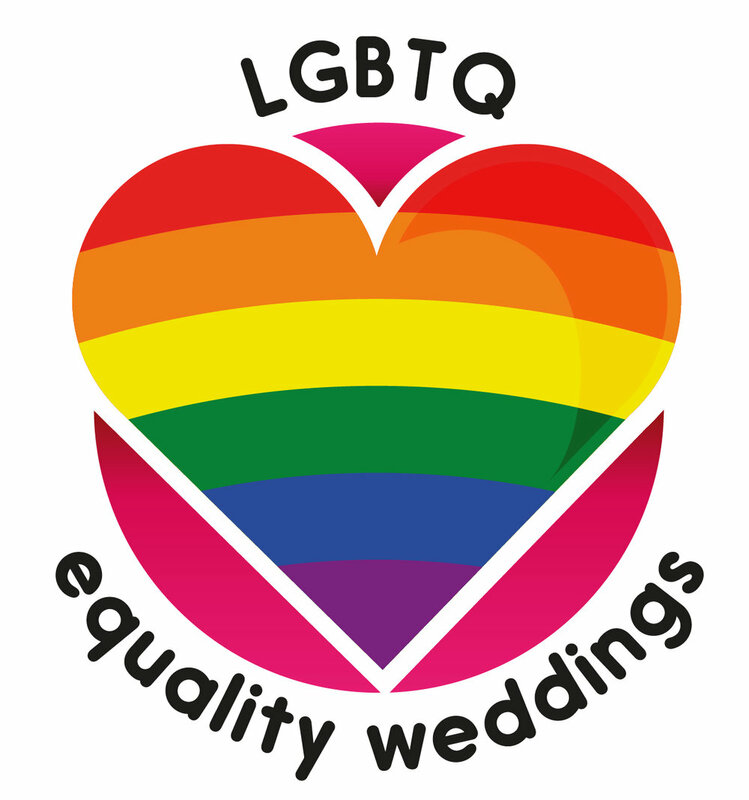 Ceremonies can be performed in the wedding venue of your choice and by working with a celebrant you are not restricted to using venues already registered for weddings. A traditional wedding ceremony can incorporate, songs, readings and a walk down the aisle. The handfasting ceremony stems from folkloric and pagan traditions and can be incorporated into your ceremony. Originally handfasting was an engagement ritual where the couple were bound together for a year and a day to see if they got on before committing to marriage. Today it is a symbolic ceremony used to unite the couple. A handfasting can use a simple cord or a number of different coloured ribbons representing different aspects of your relationship eg red for passion, blue for tranquility, yellow for fun. You can pick the colours and material that best represents you as a couple. This symbolic ceremony represents the merging of two lives. Different coloured sands are combined in a large vessel to create a memory of your special day. Often the celebrant will start the sand ceremony by pouring sand into the main vessel, this represents the foundation of the marriage. Next the couple, simultaneously pour in their coloured sand and they merge and become as inseparable as the new couple. There are many variations of this ceremony and it can be adapted to suit you as a couple. It is a great way to include children in your ceremony as they can have their own sand symbolising the part they play in the new union. A ceremony with roots in the Yoruba tradition. Tasting the Four Elements brings the traditional vow “for better or worse, for richer or poorer, in sickness and in health” to life. The four elements traditionally used are lemon, vinegar, cayenne pepper and honey which represent the sour, the bitter, the hot and the sweet times of marriage. By tasting each of these elements the couple acknowledge that every marriage has difficult times, but together they can weather them and find the sweetness that is always present.